Bring forth those who have knowledge of the whereabouts of our ancestors so we can meet on the other side of the "brick wall". Come, sip on a cold glass of sweet tea with me out on the back porch. Better grab a piece of cardboard to fan the heat and mosquitoes away while we sit here gazing into the woods. Yea, these woods have many stories to tell of fond memories and heart ache, of success and failure. They are hiding many secrets of those lost in the tangled webs of weeds and thorns through which the mighty oaks still rise. There are unique challenges here in these woods in that the courthouse records for Washington Parish burned, not once, but twice, in 1854 and 1897. Some deed records were reconstructed and rerecorded but as luck would have it, not one record related to slave holdings, not one...hum...them weeds and thorns. Surely hope someone can disprove this. To add fuel to the fire, the Pike County Mississippi Courthouse, which is just across the border from Tangipahoa and Washington Parishes, also burned in 1881...no slave records. 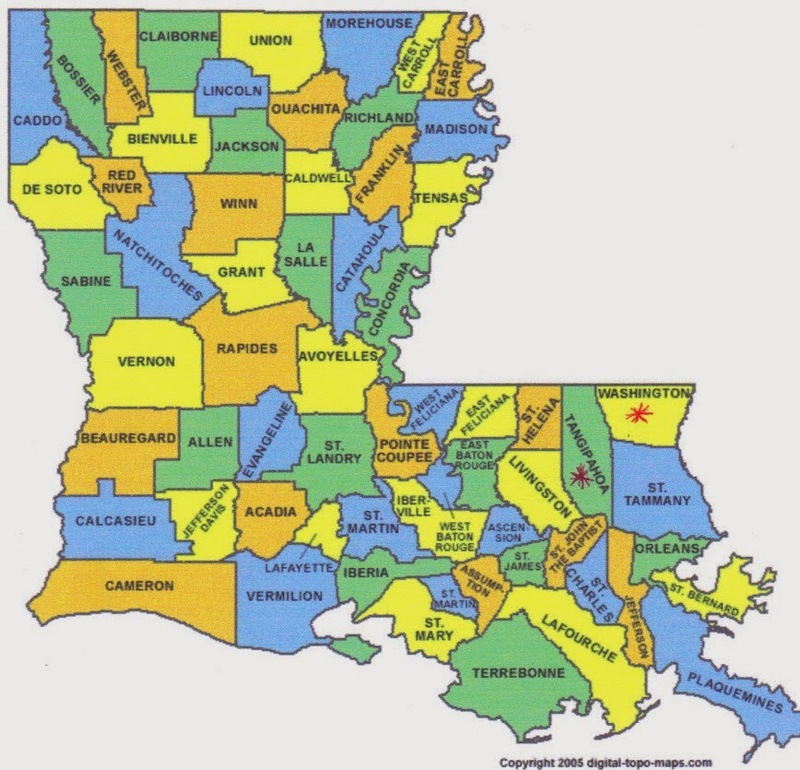 Tangipahoa Parish was established in 1869 after slavery ended. 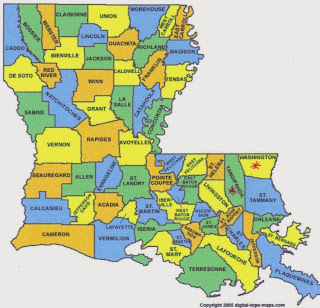 It is made up of portions of St Helena, Livingston, St Tammany and Washington Parishes. I suspect that ancestors who lived in Tangipahoa Parish in the 1870 Census were actually in that portion of Washington Parish which was appropriated to Tangipahoa Parish...no slave records. Sometimes when you are in a quandary the best thing to do is nothing. Just sit still and wait for guidance from above. With no records available in the parishes, how do I clear the weed and thorns? After many days of rocking on the back porch, I finally got the message. To find our ancestors I need to reach out to those who possibly held them captive. I knew just the place to look - my DNA matches. I contacted all my European 4th - 6th cousin DNA matches inquiring if they had any African American connections in their ancestry. I also posted details of my quest on the Brick Wall and Random Acts of Genealogical Kindness - RAOGK USA sites. To my surprise, the next morning I had 8 DNA replies plus a few more later in the day. Of course, some did not know of any African Americans in their family, but one thing's for sure, DNA don't lie. On the other hand, several supplied names and locations of their ancestors who owned slaves and offered their assistance. At least three sources connected the Wilsons with Cherokee Natives. I also received several responses from the other two sites. I was referred to university sites that contain reference material for Washington Parish. Can't wait to get my hands on these. Now, we are off to tackle these weeds and thorns and forge a path to the wall. **Comments are posted after approved. Â© 2013-2019 JAMAB LaWoods. Watermark theme. Powered by Blogger.